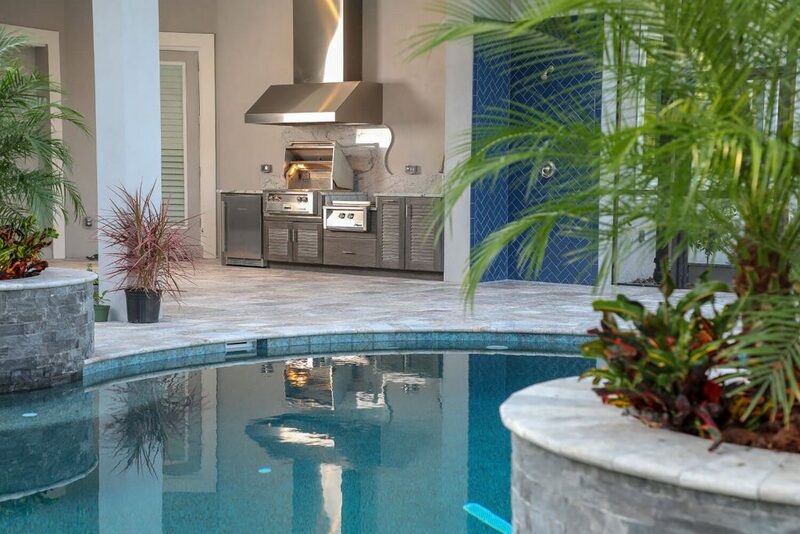 Outdoor kitchen began as an empty patio area underneath an existing roof extension. The kitchenbase is constructed from encapsulated polymer cabinets. 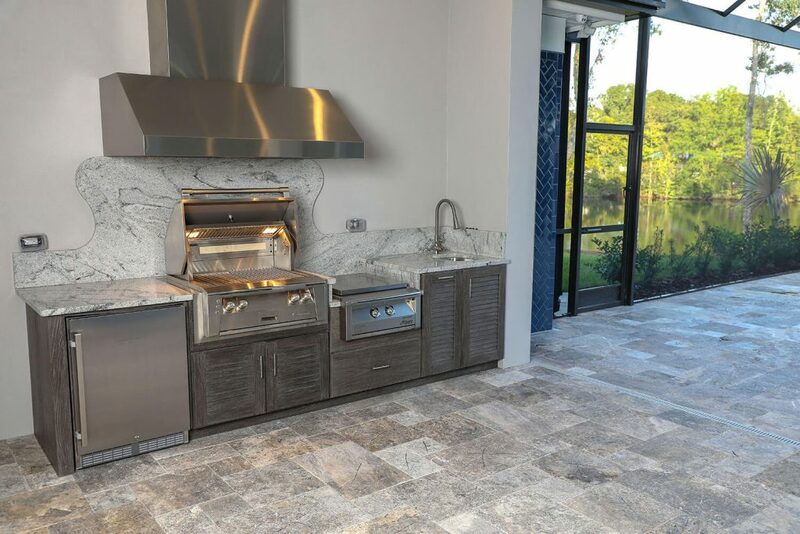 These cabinest do not fade, crack or warp so they work extremely well in the Florida heat and humidity. 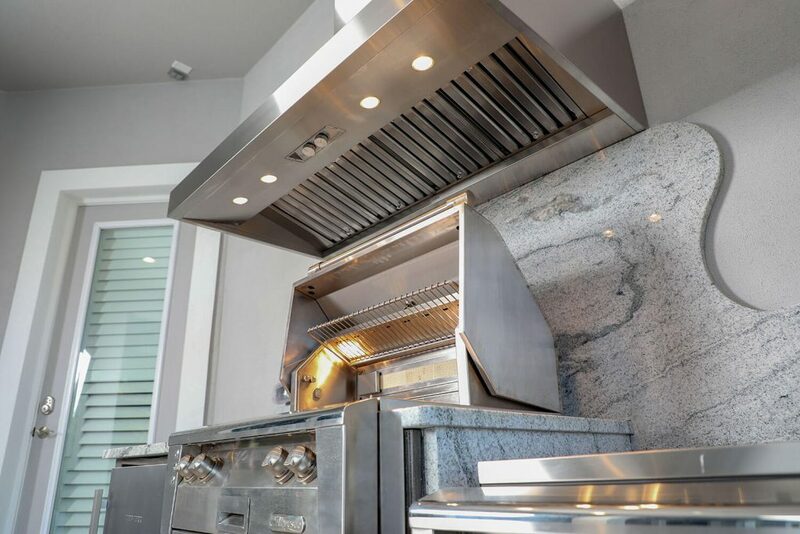 This kitchen utilizes a vent hood to keep the kitchen area clean of BBQ contaminents and free of smoke. 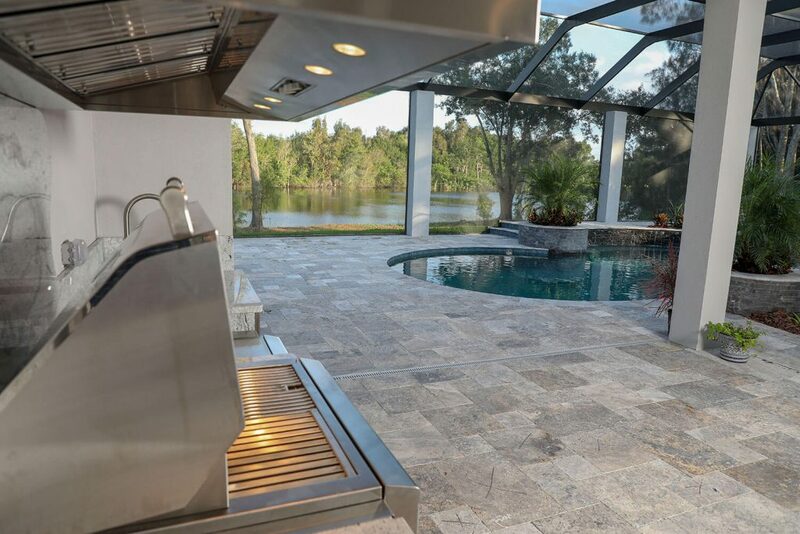 The kitchen was built to complement a new pool and patio. 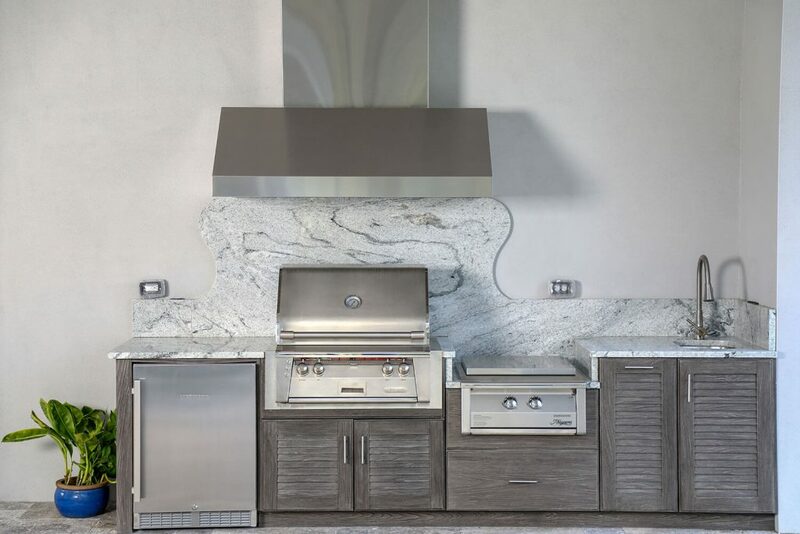 This kitchen features appliances from Alfresco Grills, Zephry Ventilation and Liebherr Outdoor.